It’s hard to take pictures in Jackson Square – the walls are all covered in Artworks for sale with signs asking for no photographs. You have to angle yourself so they don’t appear. 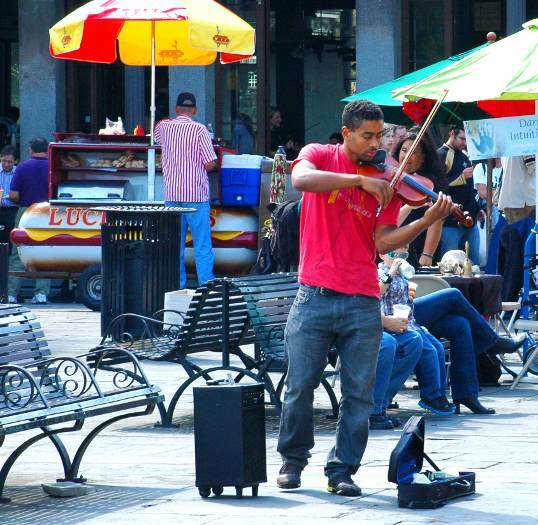 I took these two photos at the same time I shot the photo shoot in Pirate Alley – I’d turn one way to get the guy playing the fiddle, then turn and take a picture of the photo shoot. In the background, you can see a Lucky Dog hot dog vendor cart. These always remind me of Ignatius J. Reilly, who had a (fictitious) terrible time as a hot dog vendor in New Orleans. 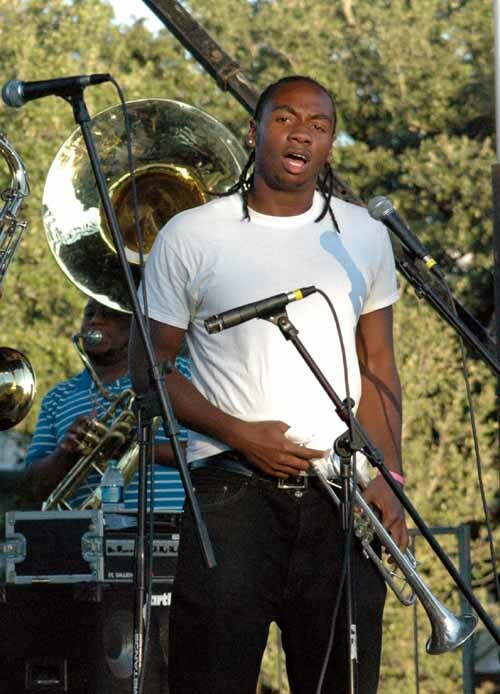 The kids at Tulane are so lucky (in many different ways) – and I’m not sure they realize it fully. Can you imagine going to college in that city? Being young and having that much history, music, and soul around you all the time would be an unbelievable experience. All I had was bad disco. After driving to New Orleans we were able to catch some of the homecoming festivities on campus. 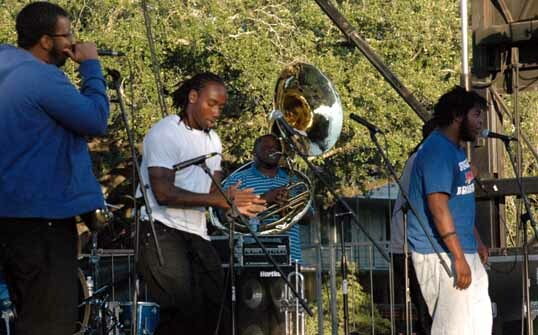 The Stooges Brass Band was set up on the Quad in back of the student center – though most of the kids seemed more interested in lining up for some free food. 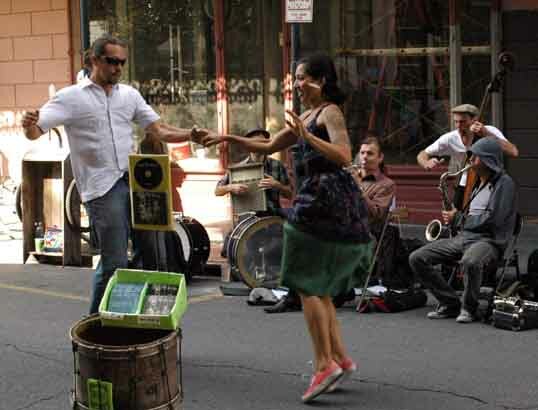 Great Music, Great Food, a Great City, and a four hour long happy hour. 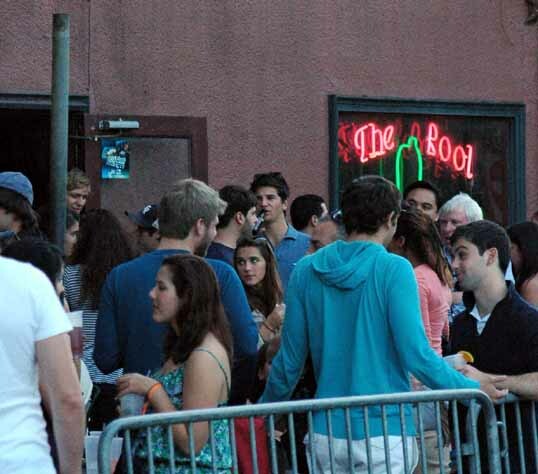 Lee working the door at The Boot. You can see his face on the right of the pipe sticking up. 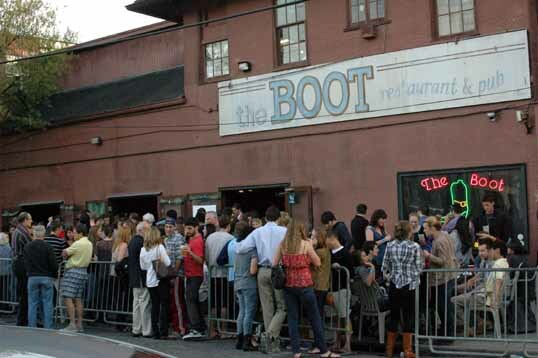 It was a big Friday Evening Happy Hour Homecoming crowd at The Boot. Lee says it's always like that. 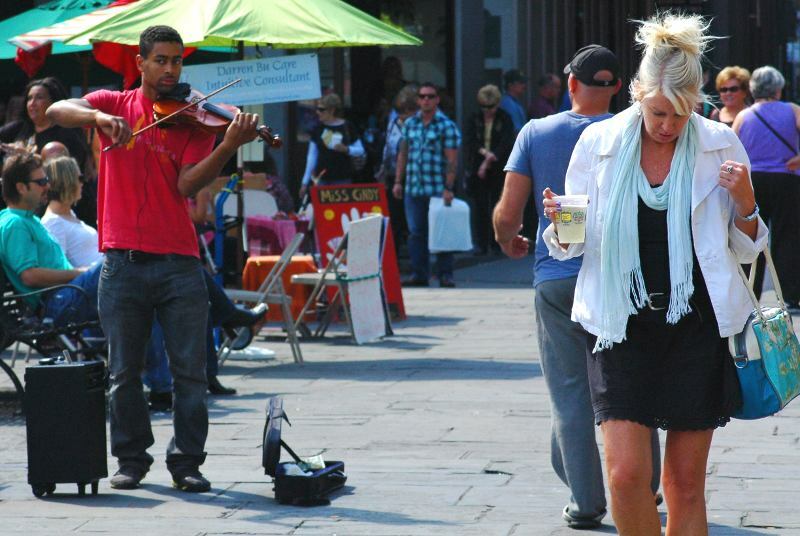 It was such a nice day to be walking around the French Quarter. 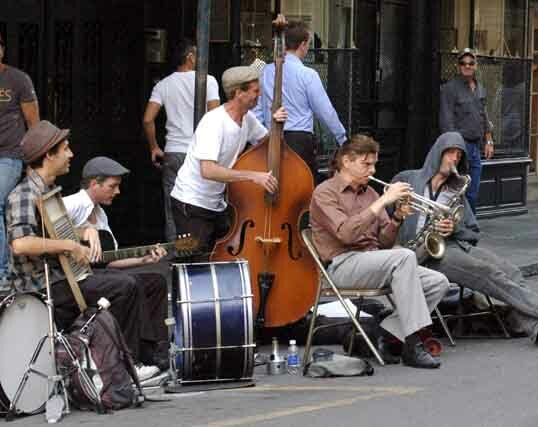 Not much more than a block down Royal Street from the Nola Jitterbugs was another band playing in the street. 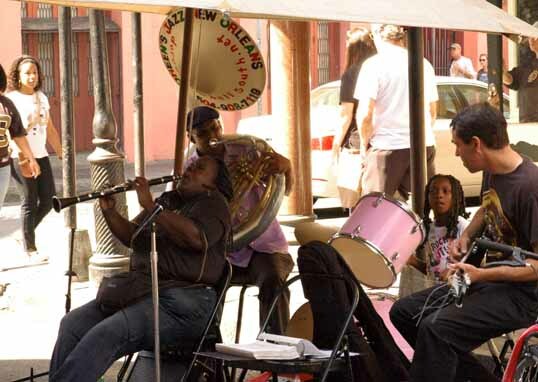 These folks were playing the real thing, the traditional New Orleans Jazz. 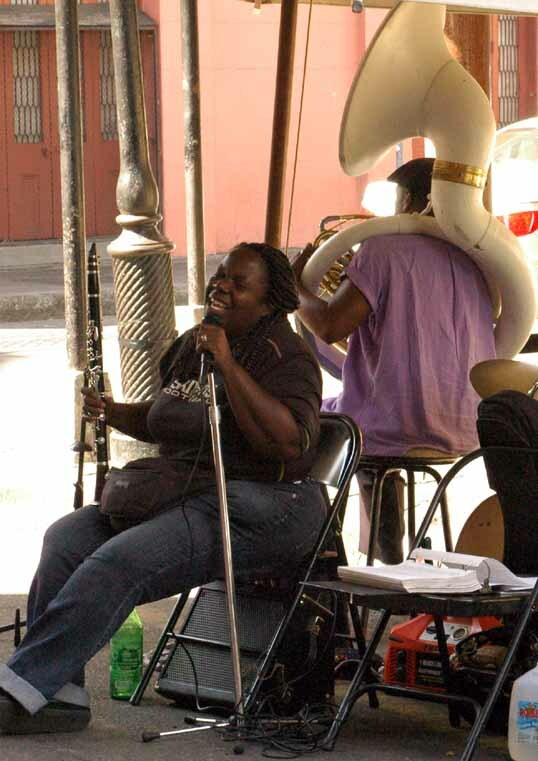 It was Doreen Ketchens and her band, Doreen’s Jazz New Orleans. They were very good. 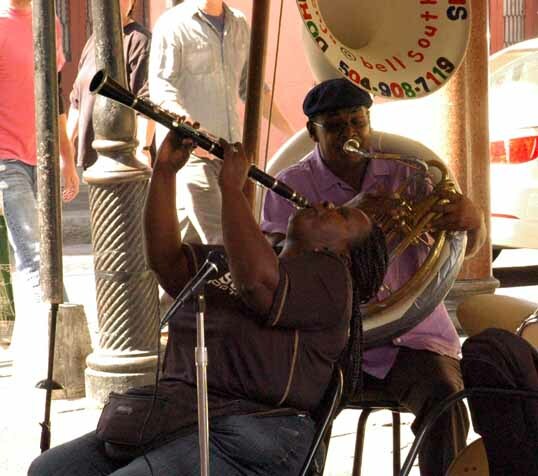 New Orleans is Culture. New Orleans is Architecture. New Orleans is Food. 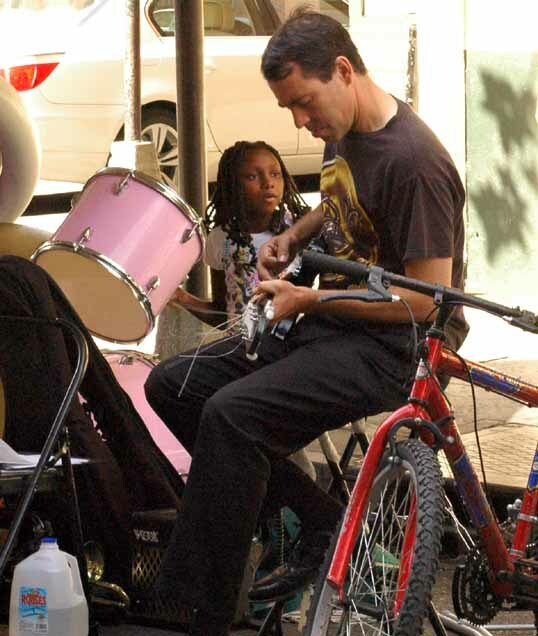 But more than anything, New Orleans is Music… Live Music. Jazz is the one true American art form. 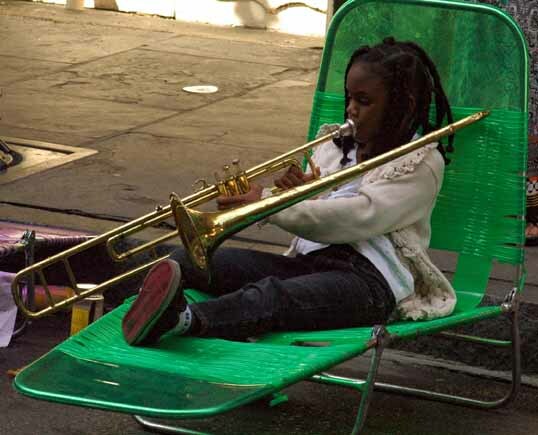 Jazz was born in New Orleans. 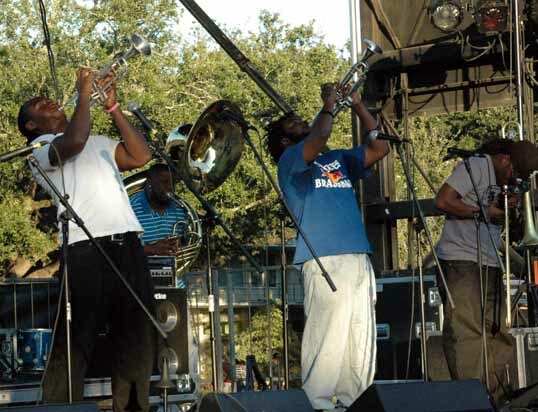 At any time of any day or night you can hear live music in New Orleans. 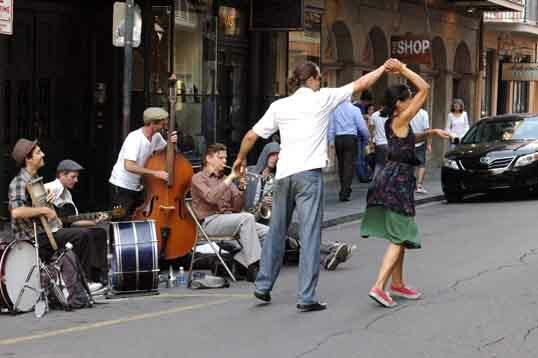 You can see dancing. 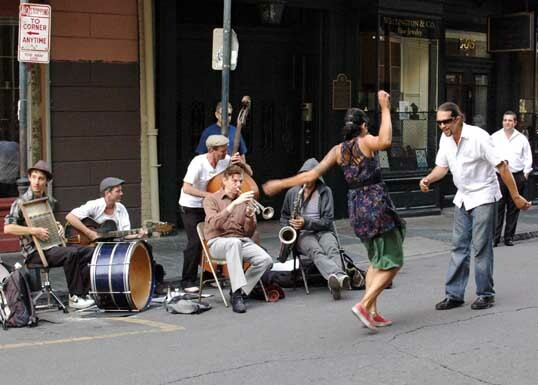 Even Jitterbugs in the French Quarter.